So things have been absolutely hectic on this side! I will post some more on the customer quilts later. Last year I presented a workshop at The International Quilt Convention Africa 2012, Johannesburg, South Africa. 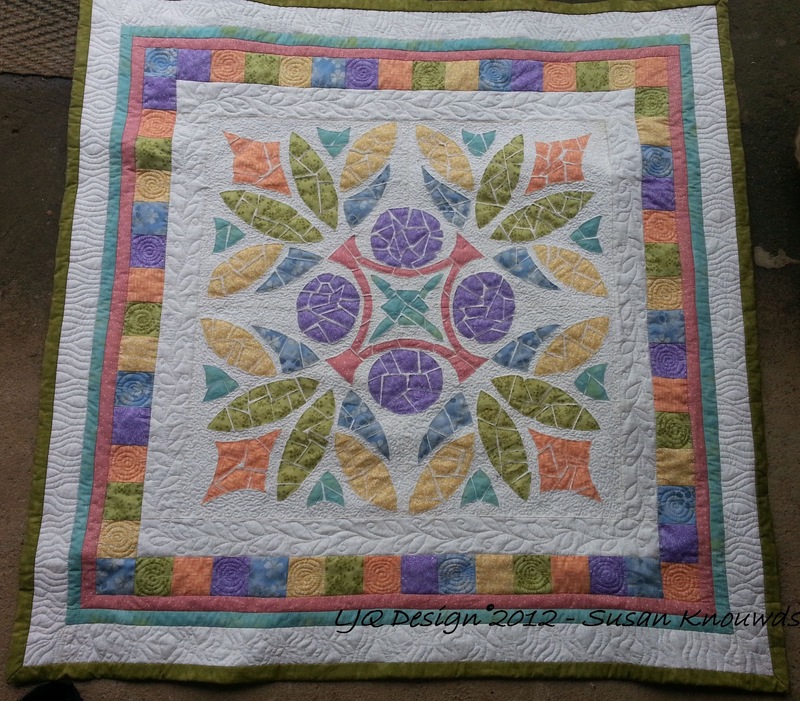 One of my students send a pic in of her completed quilt from my workshop and I’m thrilled!